A new services homepage, a tab for Radio and improvements to the way shows can be downloaded are among the changes being rolled out on Sky+HD. The latest update, now rolling out to customers, introduces editorial Top Picks to the Sky+ Homepage. The new section gives Sky customers programme recommendations from entertainment channels such as Sky Atlantic and FOX. Plus, depending on customers’ subscriptions picks will include good box sets from other channels, including sporting highlights, kids’ favourites and the latest movies. Download next: Sit back and enjoy episode after episode of box sets including Entourage and Desperate Housewives. When customers start watching an episode from a series, if the next episode is available it will automatically start to download. Continue watching: A new Continue tab in the Planner will let customers easily pick up where they last left off in an episode or series from shows including The Catch, Outcast and Agatha Raisin. A newly designed Services Homepage to help customers to customise the Sky Guide. Press the Services button on the remote control and customers will find Accessibility, Parental Control & PIN, Radio, Settings Options, Get Sky Products, My Account and Help menus. 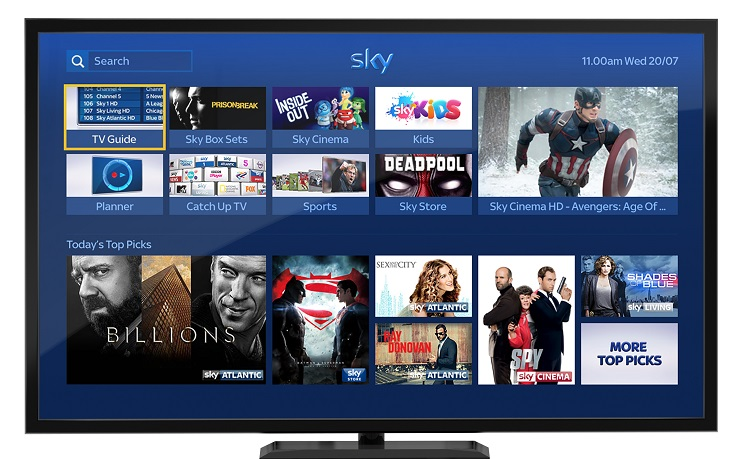 The latest software update will be available to homes with compatible Sky+HD boxes by the end of August. 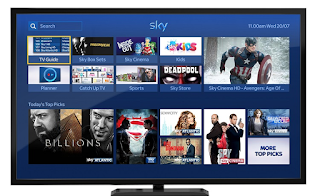 To make the most of the recent updates, Sky customers need to connect their Sky+HD box to their home broadband. Visit sky.com/connect for more information. The updates are not available on older Sky+HD boxes.